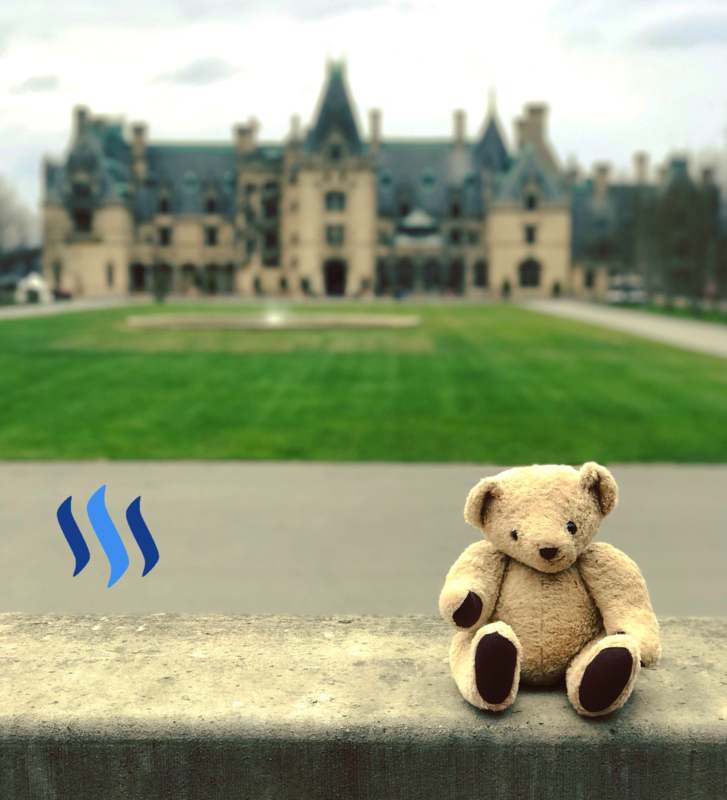 Exploring Biltmore's Luxury Cottage ( Photos & Video Inside)steemCreated with Sketch. The largest private home in America, the historic Biltmore estate, is an unexpected display of eloquence and opulence hidden among the natural beauty of the Blue Ridge Mountains. The small mountain town that contains this prominent Gilded age relic is Asheville, NC and in it’s self is an adventure in mountain culture and arts. 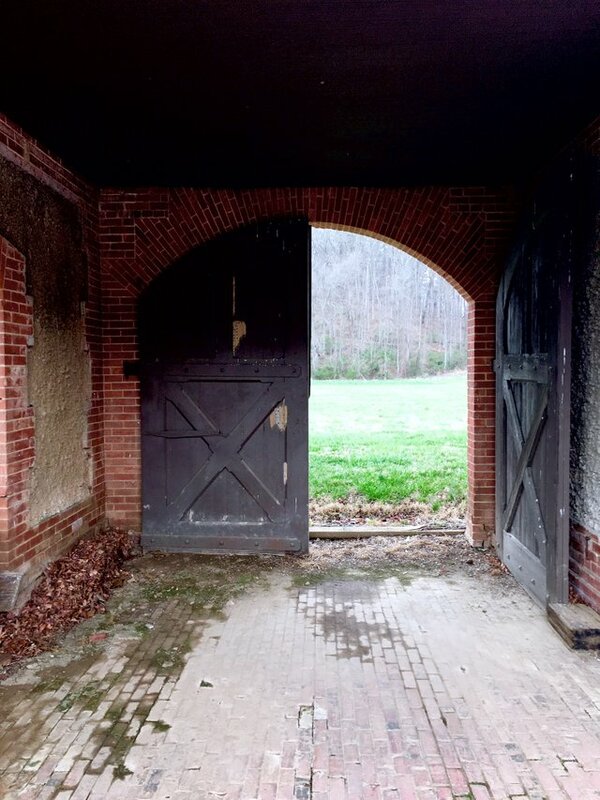 However, once entering the grand stone arched gates of the estate it is as if you are being transported to another time and place. In obeying our hearts we have ventured to this luxury mountain oasis to celebrate our second wedding anniversary. It is the end of February, a month known for sweethearts and cool weather snuggles. 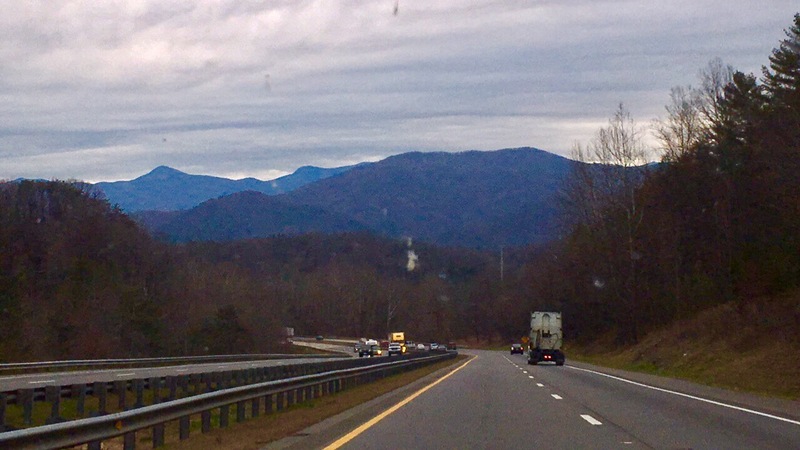 This is my first time visit to the Biltmore but my second time back in the Blue Ridge Mountains since out Wedding in Maggie Valley, NC two years ago. The mountains bring me a warm comforting peace like drinking hot coco on a winters night in pajamas. I have been wanting to see the famous Biltmore since moving to North Carolina and as my gift my husband decided to fulfill this wish. The magical and beautiful adventure was made even more exciting when I found out we were staying at the exclusive Market Gardener’s Cottage an original structure dating back to the late 1800s. Watch my walk thru video here. Most of the million of visitors the Biltmore gets a year never get to see more than a drive-by glimpse of the Market Gardener’s cottage on their way to the main house. 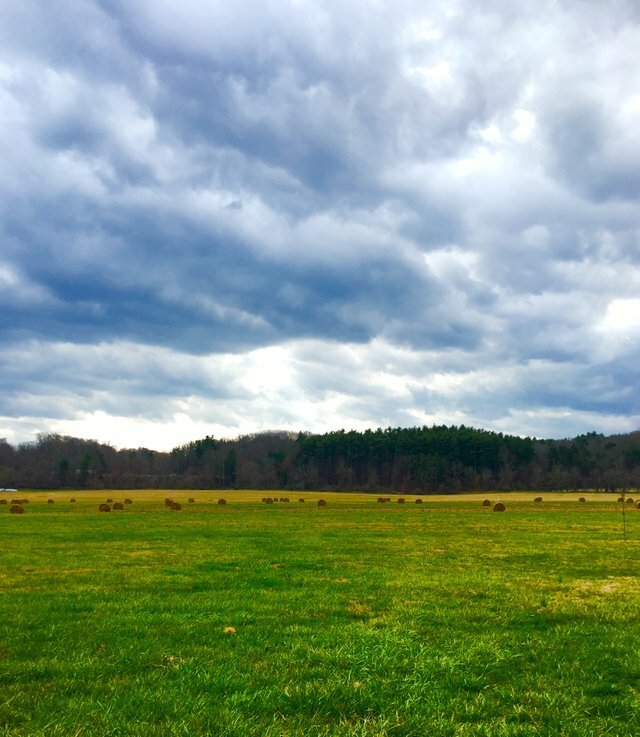 The Biltmore estate expands a whopping 125,000 acres. 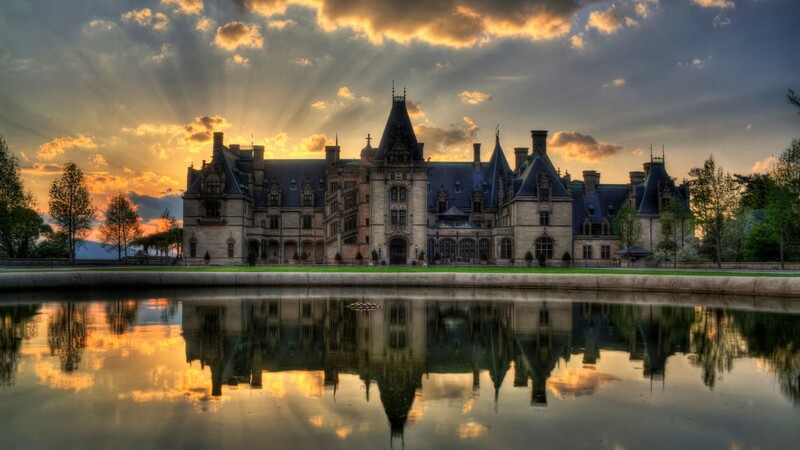 The historic Biltmore mansion is a French Renaissance chateau features over four acres of floor space, 35 bedrooms, 42 bathrooms, 65 fireplaces, an indoor swimming pool. 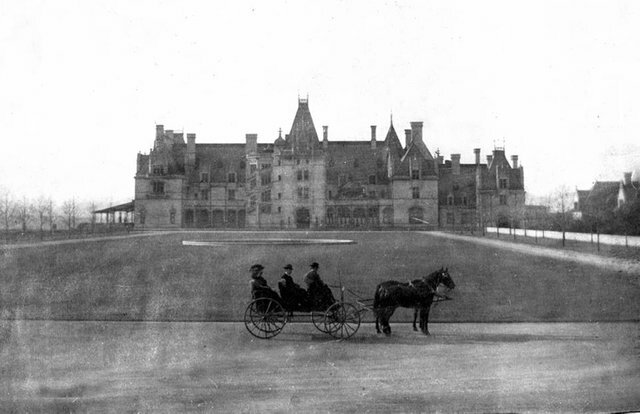 It was constructed by the Vanderbilt family in the late 1800’s. 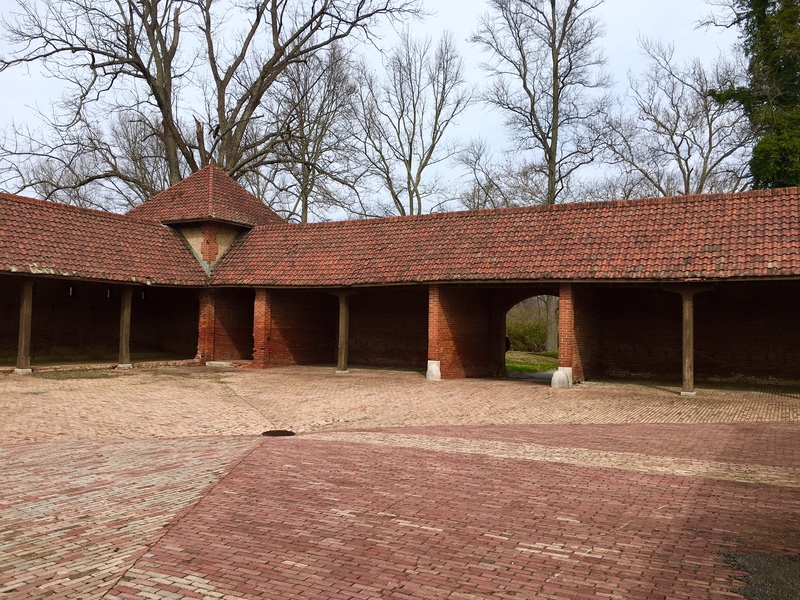 We will explore my visit to the mansion and more of the estate’s history is a coming post, but I would now like the share with you something even more exclusive: an inside look at the Biltmore’s Market Gardner’s cottage, seldom seen and only available to explore by overnight accommodations. Allow me to give your a closer and more intimate look at what was once the heart, or should I say the stomach, of the estate’s ecosystem. 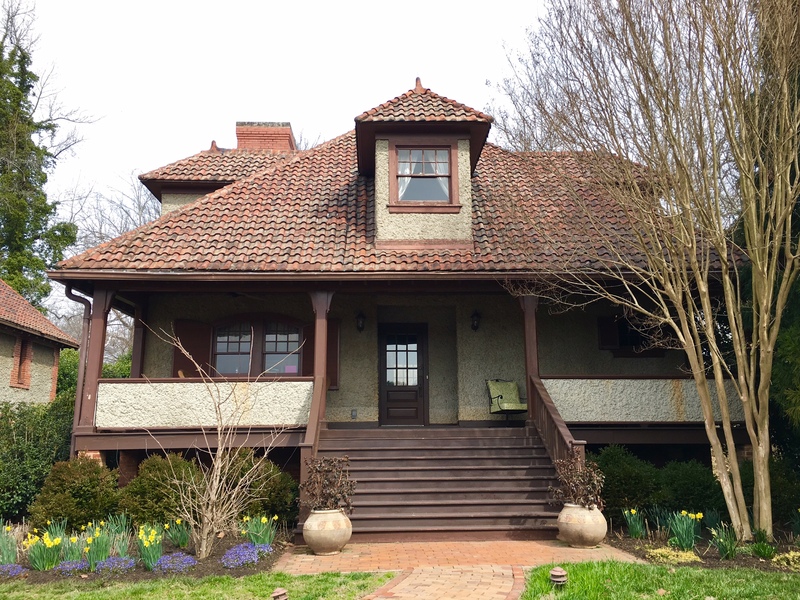 The Biltmore cottage sits along a winding creek lined road nestled among the hills, positioned between the entrance to the estate gates and the grand Biltmore mansion. The cottage and grounds were once the site of a bustling fruit and vegetable market that served as the principle vegetable source for the expansive estate after its construction in 1896. Designed by the son of the mansion’s architect it reflects the French Renaissance ascetic but with a more grounded and functional approach. The courtyard acted as an area to package the vegetables and as a mini marketplace for local wholesalers seeking the estate's surplus crops. The cottage was more than just a central hub for food traveling from garden to table, it was a home. George Stevenson Arthur and his wife, originally from Scotland, raised their 9 children within the wall of the cottage for the first 17 years of it’s history. 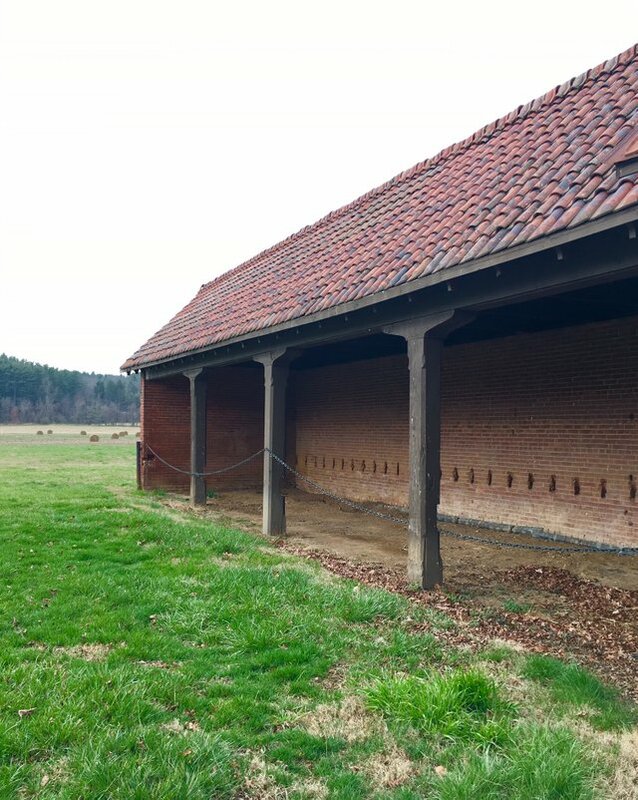 Arthur was charged with managing the estate’s vast vegetable garden which was known for it’s innovative farming practices. After the Arthur family moved into the main house, the cottage was damaged multiple times by flooding and fell out of use for many years until the 1980s when it was renovated and gained a new life accommodating VIP estate guests. 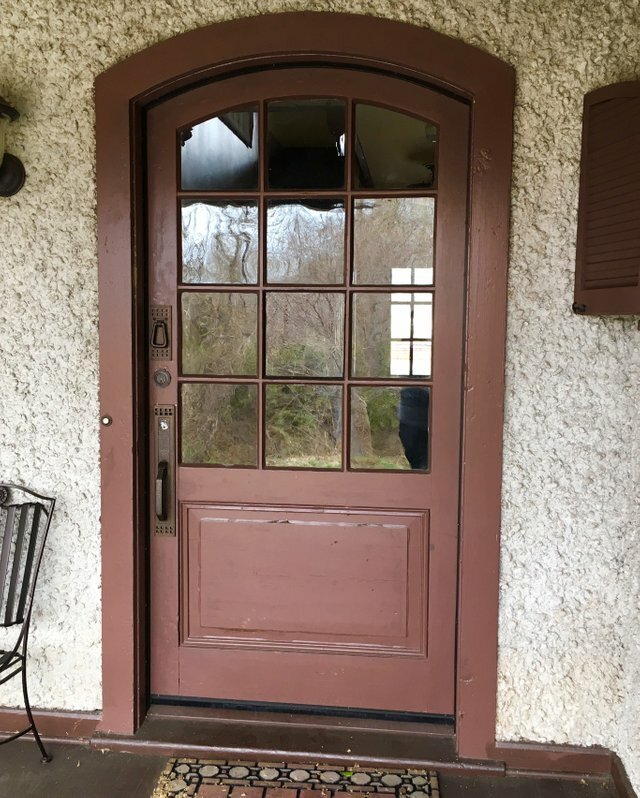 The cottage then went thru more major renovations in 2005 and took on it’s current reincarnation: an intimate luxury cottage getaway available thru Biltmore Inn. 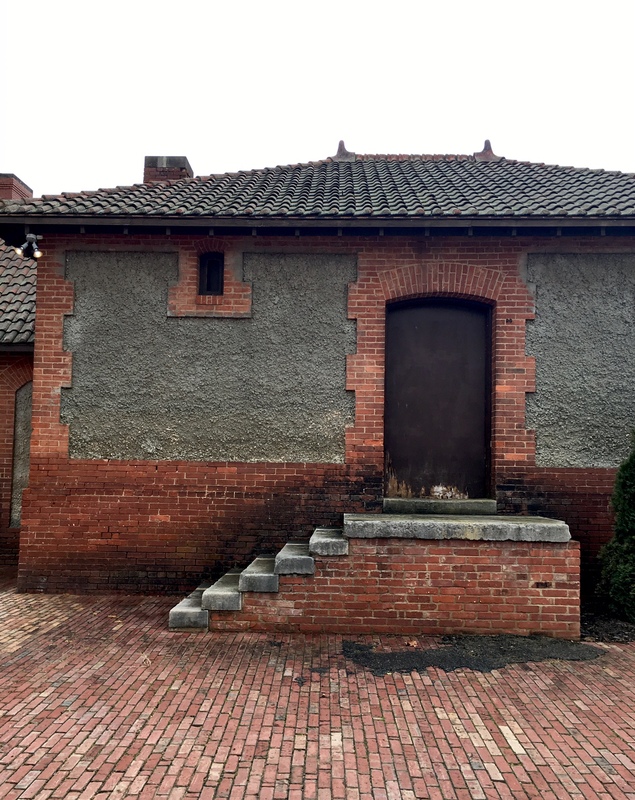 As we enter the brick encased cottage courtyard I immediately notice the unique sound of the brick on tire, it reminds me of the antique brick paved streets I have encountered on rare occasion. There is an elegant aged beauty to the rusty red understated arches and curved roof tiles. As I breath in the cool mountain air I let myself be pulled back into time where I can almost hear the hooves on brick, see them pulling in freshly uprooted sweet potatoes by the wagon as the Arthur children run among bins of cabbage and tomatoes. 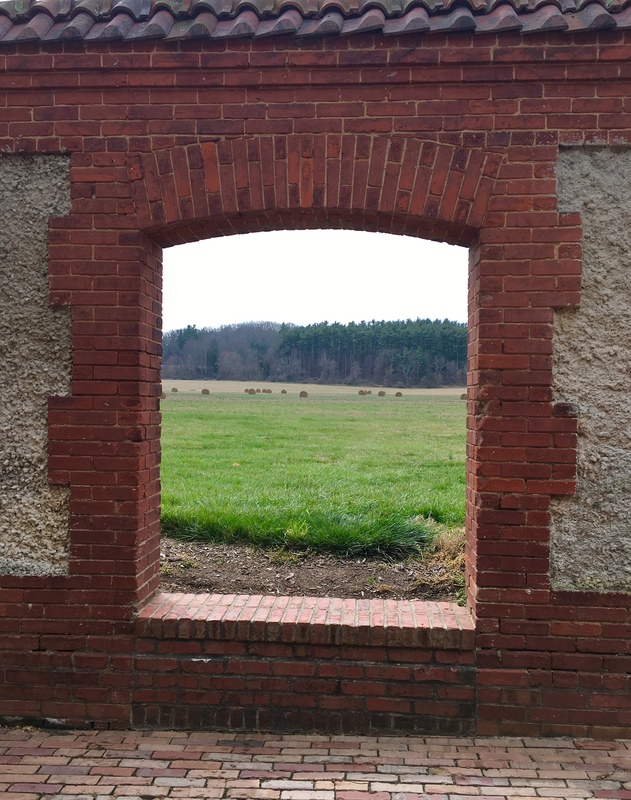 The courtyard flows into an arched walkway past the courtyard wall, to one of my favorite features, an arched cutout window in the wall opening to a beautiful view of the pasture beyond. The lush hay bale filled fields seems to go on forever till they meet a backdrop of tree lined hills. This is the kind of view I could spend eternity basking in, simple but serene. As we move along under the arched walkway we are led to the back yard continuing on the brick path. 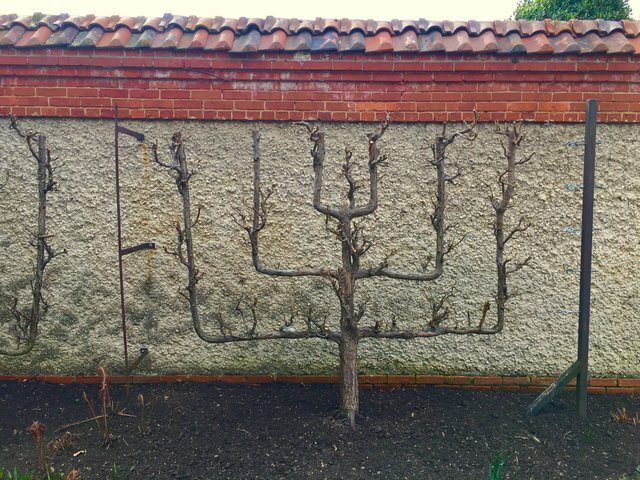 Two oddly shaped trees hug the wall, holding their unique shape by being carefully grown using a vertical wire system: another feature that echoes the beauty of the estate’s aesthetics, a small taste of the extravagant Biltmore gardens. The cottage itself has an almost American Craftsman style feel with simple accents and a large porched roof. As soon as my foot touches the floor I hear the distinct creak of 100 plus year old wood plank flooring. 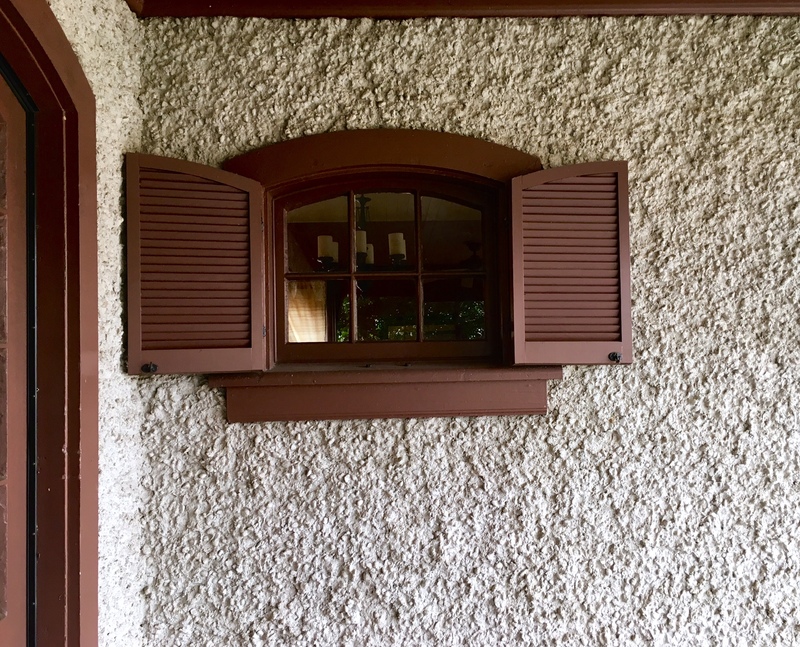 The wooden accents throughout the house and many of the bubbled glass windows are obviously original. However, the amenities and decor are updated, the house still maintains it’s ora of age and history. 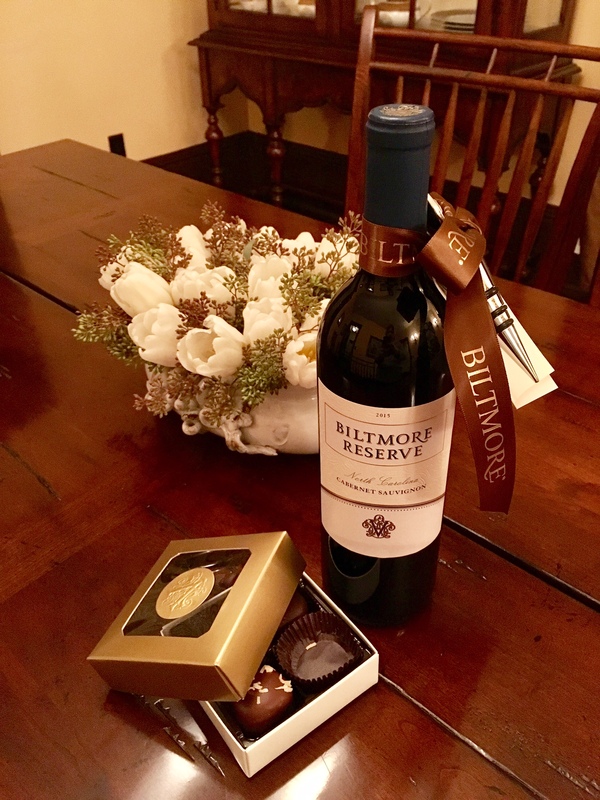 A sweet snack basket complete with red wine from the estate winery and complimenting Biltmore chocolates are left for us to enjoy. Crackers, cheese, and cookies are included as well and are a welcome sight after the drive. 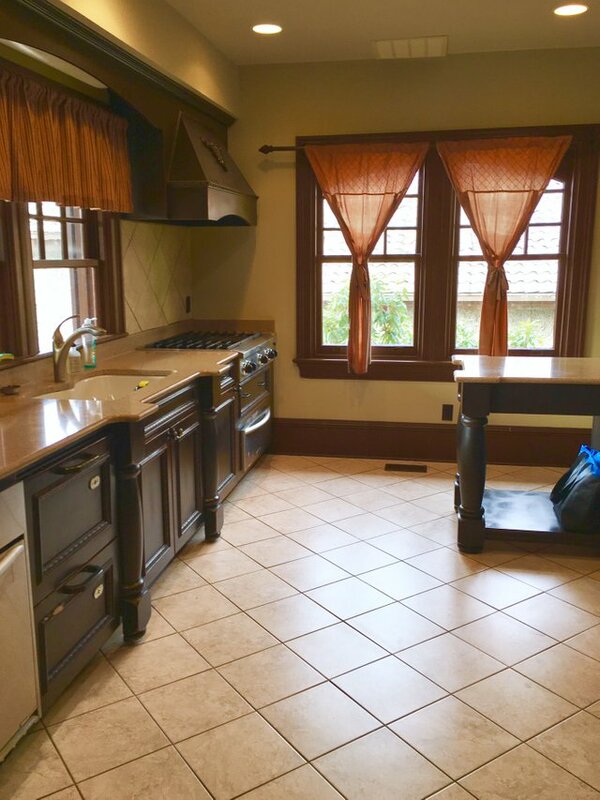 The kitchen features tile floors and a large gas cooking range with French inspired hood. Enough cookware fills the cabinets to cook a feast. 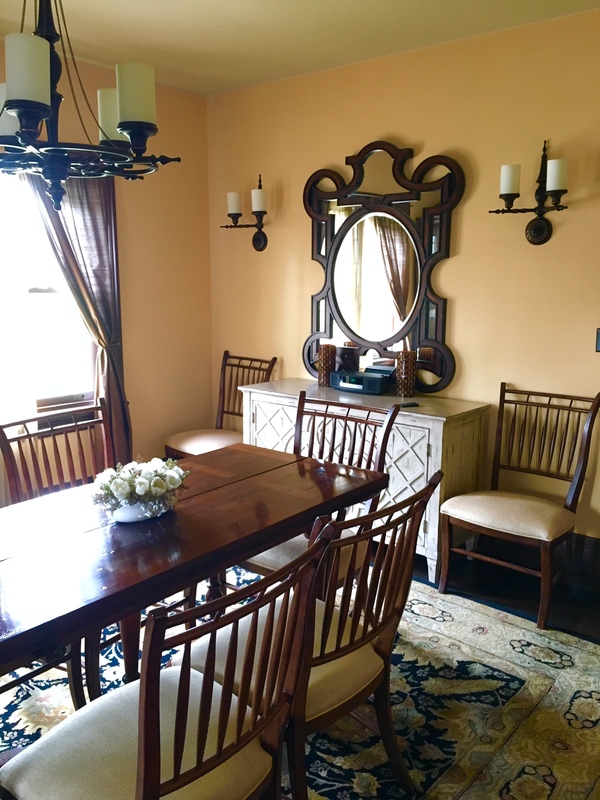 Each room has an inviting feel, with the ample wood furniture complimenting the warmth of the buttery yellow walls. Sweet whimsical touches in the decor give it that homey and accessible feel. The dining room windows bring beautiful morning light into the sophisticated but relaxed setting. 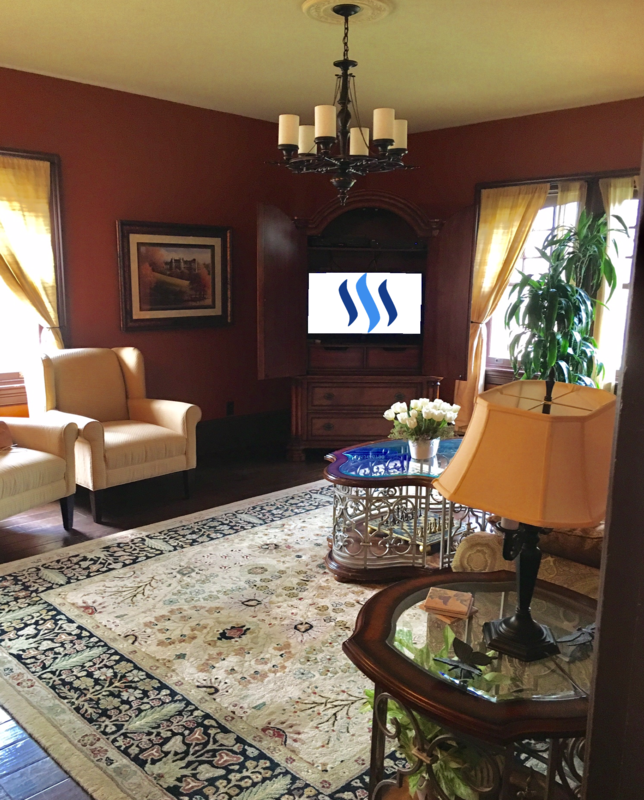 The living room is focused around the large ornament push button gas fireplace and the surrounded walls hold texture accented windows allowing in natural light. 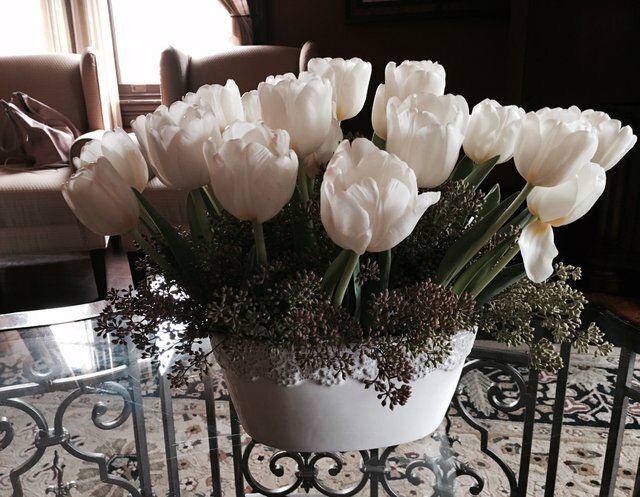 Freshly picked tulips sit on the coffee table, and rusty orange walls reflect a warm cast onto the whole room. 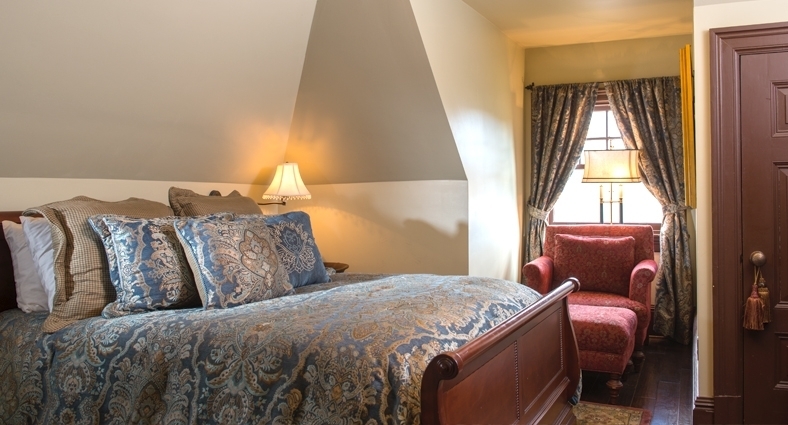 Soft comfortable seating makes this a lovely room to relax and enjoy that Biltmore Reserve and chocolates. 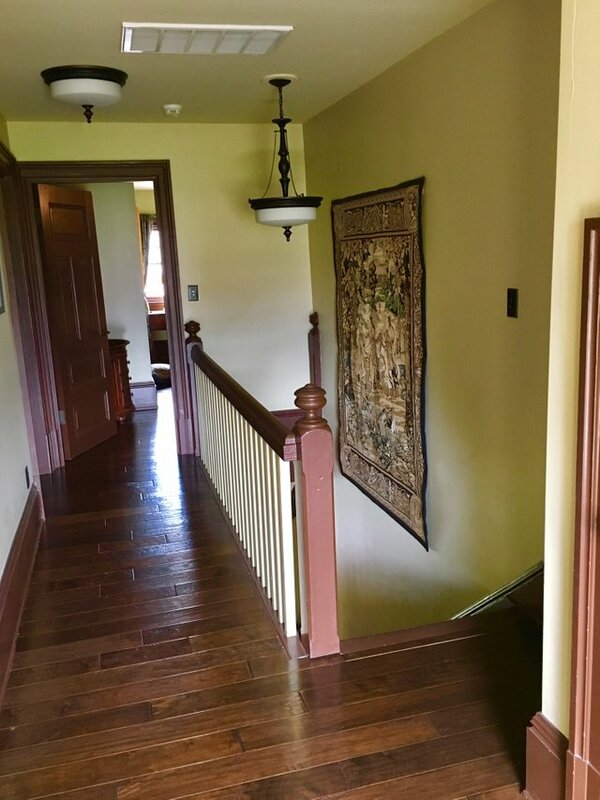 The stairs lead up to the second floor, holding two bedrooms and two bathrooms as well as a hallway complete with window seat overlooking the back pasture. 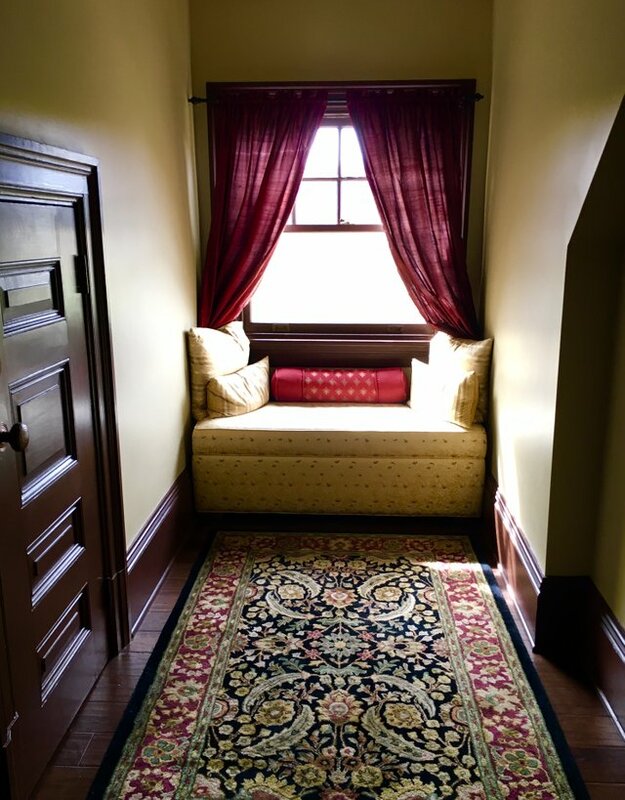 The little nook is the perfect spot for snuggling a book and watching the sun rise with a cup of morning coffee. The bedrooms are cozy with their own bathrooms, each with it’s own signature luxurious touches. A love for paisley is a must for appreciating the decor. 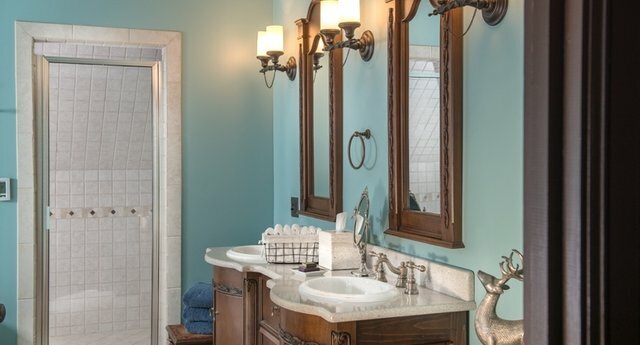 Above the large garden tub is a beautiful stained glass panel hanging in front of the window. During a relaxing afternoon bath the daylight casts a kaleidoscope of colors onto the bubble filled bathtub. Time to enjoy the scenery and some snuggles. Please join me, Steemians, next time as we travel back in time venturing to the mansion to explore America’s largest and most magnificent mansion: The Biltmore. Thanks so much for reading! If you would like to show support for @beartribune please Resteem, Upvote, and Follow! Wow!!! I hope I can visit there one day. For sure!! So lovely! Have you visited? This post received a 4.2% upvote from @randowhale thanks to @beartribune! For more information, click here!